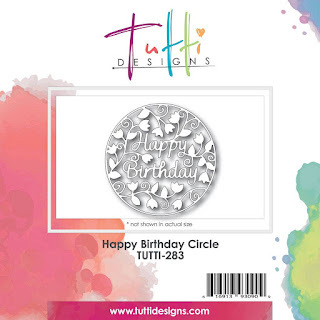 I used blue holographic card stock from Hot Off The Press to cut out the Tutti Designs Happy Birthday Circle die to make a fun and sparkling birthday card. 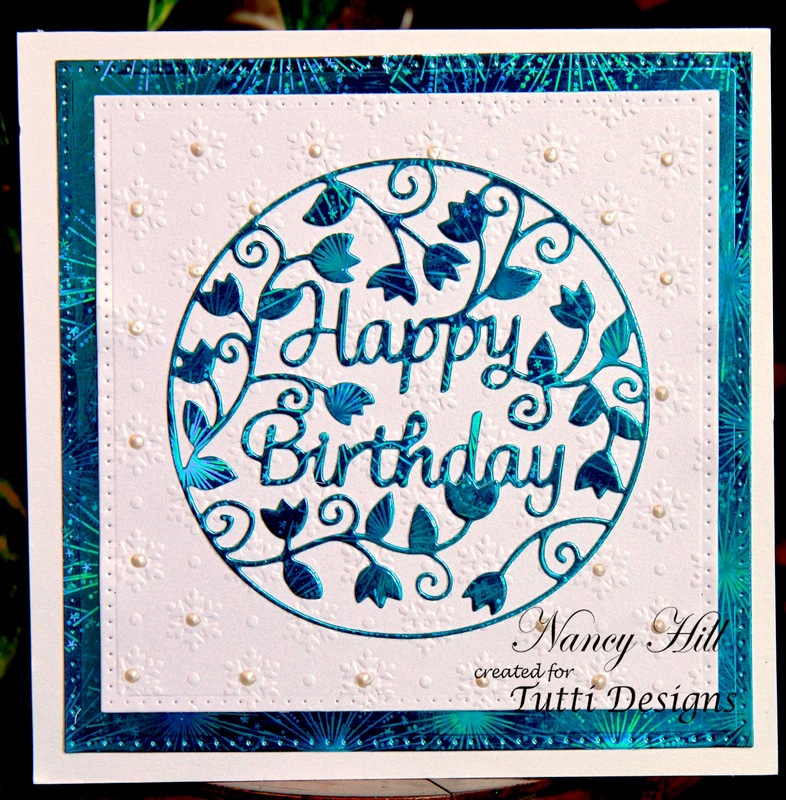 I applied Aleene's Fast Grab and fast drying spray glue to adhere this to the card. I embossed the background and added NUVO Crystal Drops Ivory to the center of each snowflake to make it look like flowers. 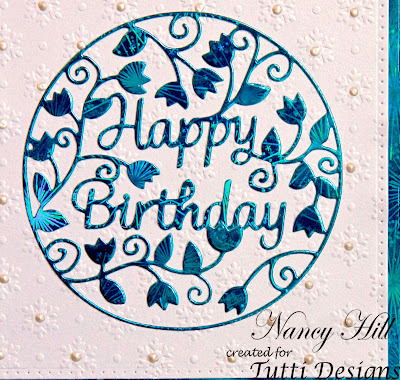 Just beautiful Nancy ... I love that blue paper!